Yes, it may still feel like we're in the blazes of summer, but that shouldn't stop you from dreaming about all of the amazing fall and winter beverages you'll be sipping on in the months to come. And while we love cold-brew just as much as the next (superfood obsessed) guy or gal, there is just something so wonderfully soul-nourishing about sipping on a warm mug of freshly brewed, fair trade (duh) and organic (of course!) coffee this time of year. We're also not going to lie, the energy and overall morale boost delivered by that extra jolt of caffeine is much appreciated as days get shorter and darker. This recipe was inspired by one of our favorite ways to enjoy coffee: butter coffee-style, only dairy-free / vegan. Blending stone ground raw coconut butter into hot coffee lends an instantly creamy latte-like effect + the perfect layer of foam. Not to mention all of those metabolism and energy boosting MCT fats. 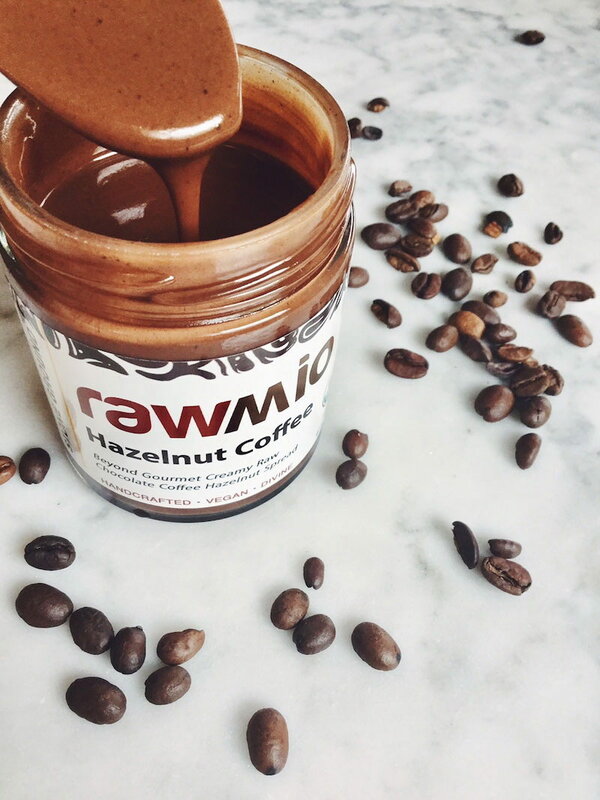 But we didn't stop there - we mixed in a generous spoonful of our Rawmio Hazelnut Coffee Spread, and the result was pure mocha heaven. 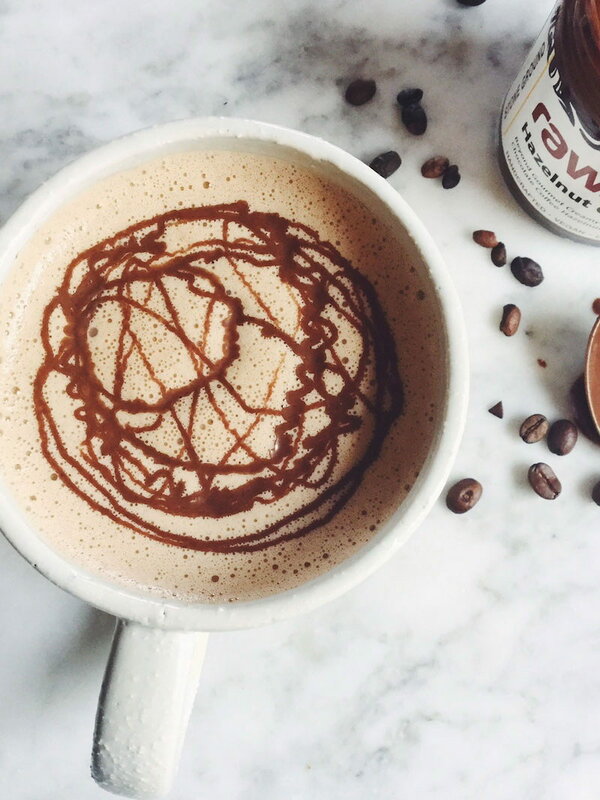 Think creamy coconut latte with hints of fresh hazelnut and dark chocolate with the perfect touch of subtle sweetness. Still dreaming about it now. We think it's safe to say this recipe will be in heavy rotation for the next 6 months. 1. Brew your coffee as you normally would. We used a french press method - about 1/4 cup beans (ground finely in a coffee grinder) to 12 oz of hot water. 2. 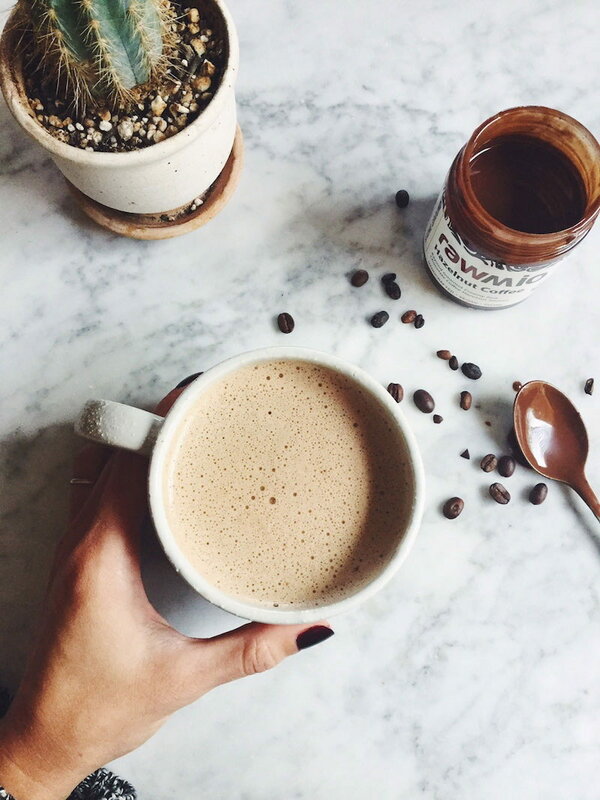 Pour hot coffee in blender carafe, add coconut butter and hazelnut coffee spread and blend for a few seconds until frothy and creamy. 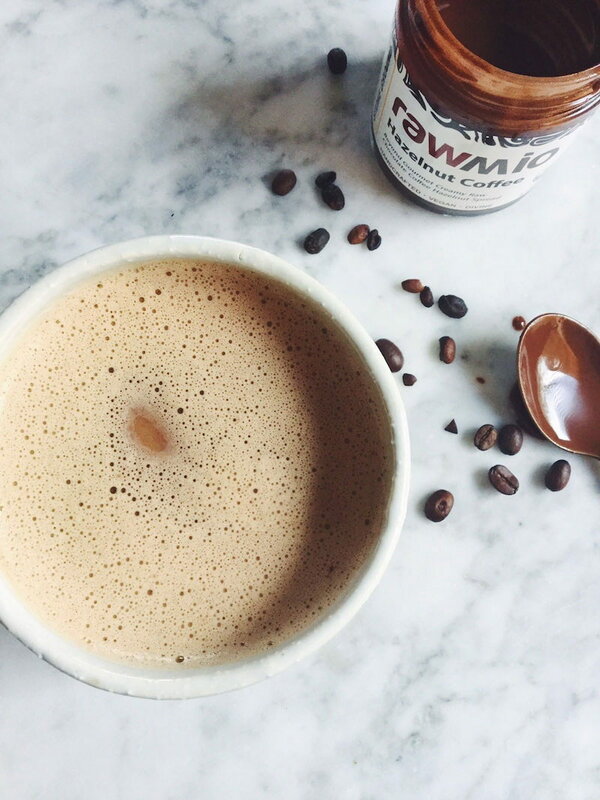 Pour into your favorite mug, drizzle with melted Rawmio Hazelnut Coffee Spread if you wish, and sip the bliss!